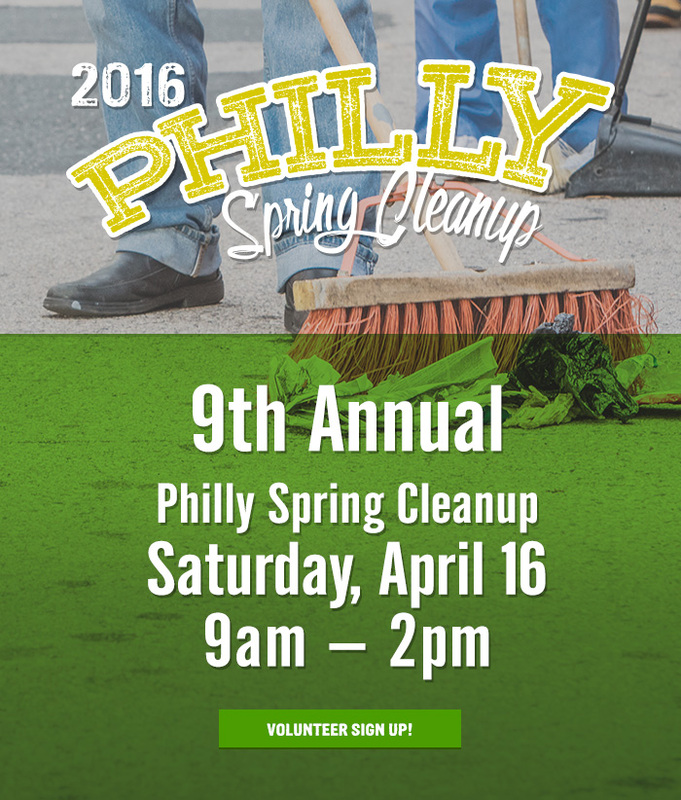 Latest events and happenings in South Philadelphia. Do you have an exciting event to share? Let us know. 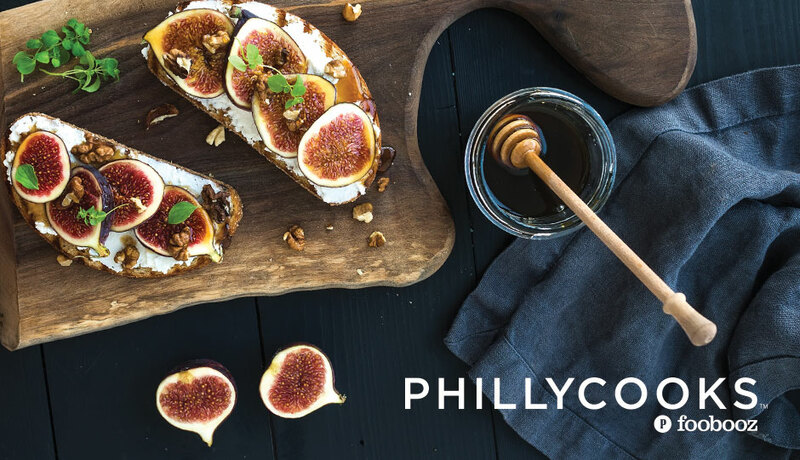 Philly Cooks, Philadelphia magazine and Foobooz’s annual food and drink festival returns to Philadelphia on Wednesday, February 6th, 2019 from 6:30pm-9pm at the 2300 Arena in Whitman, Philadelphia. Wednesday, February 6th, 2019 from 6:30pm-9pm. The Next Step Concert Series is intimate, spontaneous and inventive – everything you love about 11th Hour. New and seldom seen musicals are stripped down to their very essence…good storytelling and incredible music. This season 11th Hour is bringing you three beautiful and moving musicals as well as an exciting brand new musical that is in development at 11th Hour. Based on the 1975 documentary, Grey Gardens is the hilarious and heartbreaking story of Big Edie and Little Edie Bouvier Beale, the eccentric aunt and cousin of Jacqueline Kennedy Onassis. This 2007 Tony Award nominee, is the tale of once bright names on the social register who became East Hampton’s most notorious recluse cat ladies. 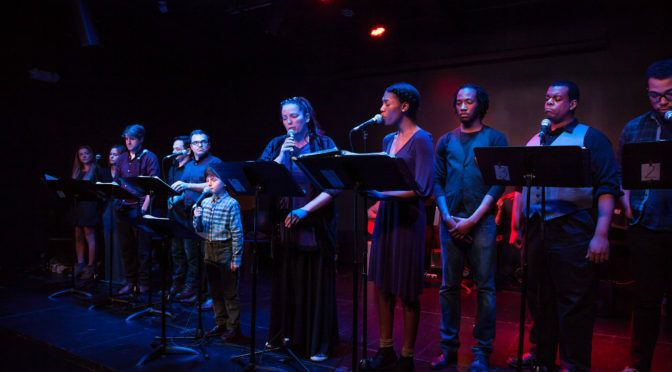 Perfect for the holiday season, join 11th Hour for a joyous and inspirational musical based on the genesis story and unlike any you have seen before. Featuring a beautiful score by musical theatre great, Stephen Schwartz, this universal story about about parents, children and the unbreakable bond between them is sure to be a hit for the whole family! In this folk/bluegrass musical, a Tennessee town that was rocked by the Civil War pins its hopes on a friendly game of baseball played by recently-returned soldiers of both armies. But when ex-Confederate discover they’ll be playing on the same team as a newly-freed slave, the tensions that boil over threaten to make the new peace more dangerous than the war ever was. This new musical has been commissioned by 11th Hour is being developed with the help of The Independence Foundations New Theatre Works Initiative. Where are you celebrating halloween this year? 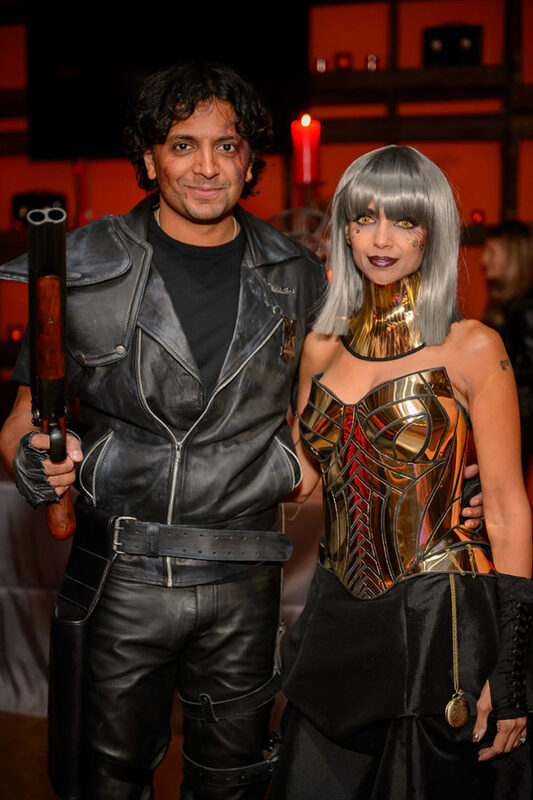 Join M. Night Shyamalan and Dr. Bhavna Shyamalan along with friends, special guests and celebrities, and generous donors for Philadelphia’s premiere Halloween party on October 28, 2017. 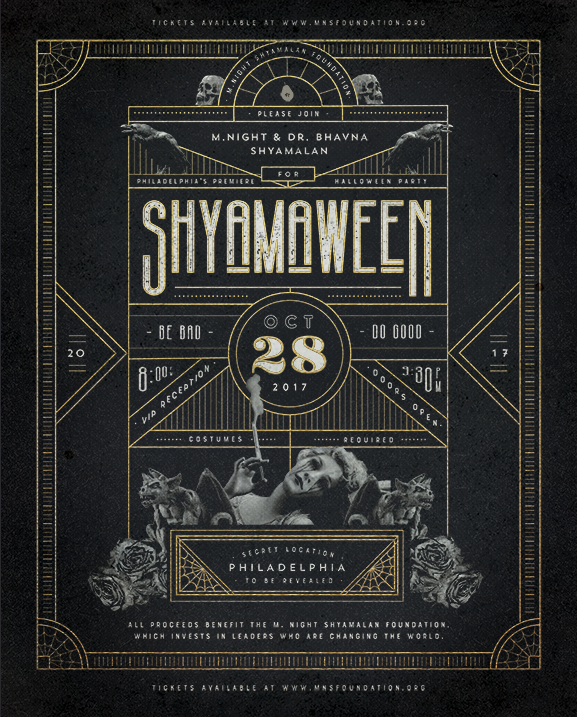 Shyamaween is the one fundraiser you won’t want to miss. The exclusive charity party will include special performance by Andra Day (for VIP), delicious eats from the Vetri Family, Open Bar, Live Auction, and more! Expect to meet M. Night and other celebrities. Tickets start at $250 per person and can be purchased on the M. Night Shyamalan Foundation website. All proceeds go to support the leaders of the M. Night Shyamalan Foundation that are doing amazing work to end poverty and inequality in their communities around the world. The venue is in Philadelphia, but the exact location is still a secret as of now. Our team is going this year, so we’ll be sure to update everyone on the night of fun. From April 26th through May 7th, BalletX will present 13 performances of its Spring Series 2017 at The Wilma Theater on S Broad St. BalletX, Philadelphia’s premier contemporary ballet and resident dance company of The Wilma Theater, has built a repertory of 61 world premieres since its 2005 inception. ￼Tickets to Spring Series 2017 at The Wilma Theater are available online at www.balletx.org, by phone at (215) ￼￼￼546-7824, or in person at the Wilma box office at 265 S. Broad Street, Philadelphia, PA 19107. 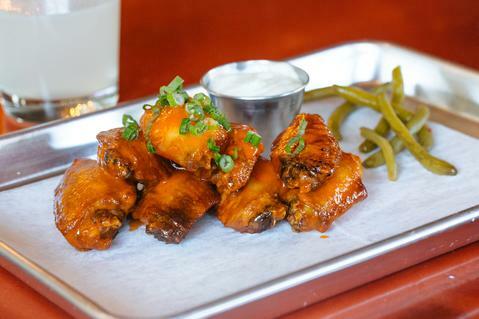 When we first wrote about the long-awaited opening of Otis & Pickles Speakeasy, we were expecting craft beers and cocktails in an unassuming and intimate neighborhood bar. Following up on Otis & Pickles now, we see that this local South Philly bar has already expanded to offer so much more and to so many people. Whitman and Pennsport neighbors show their gratitude by making frequent visits, but travelers from outside South Philly also brave their way to this humble bar. 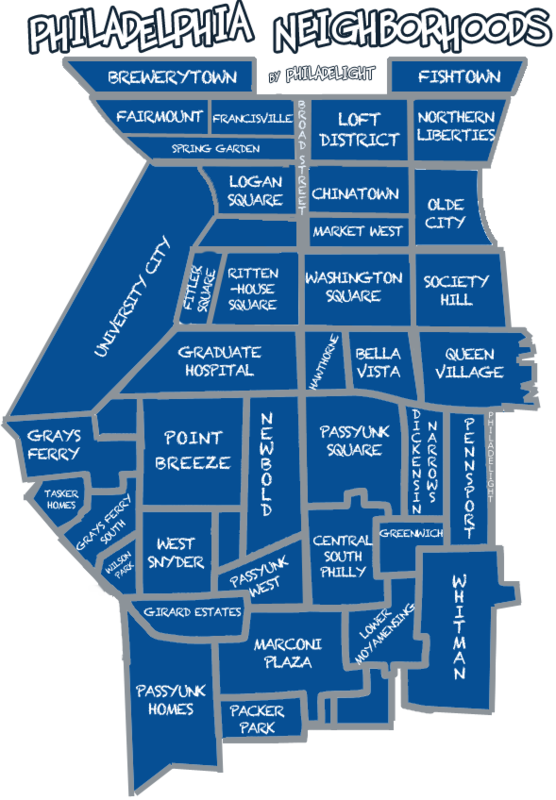 One not so local reviewer states, “O&P is located in a quiet South Philly neighborhood just off of Oregon near Tony Luke’s. I mention this because the next time you head this way for a late night sandwich, I suggest checking out O&P instead. You won’t be disappointed.” That is an impressive feat for such a small business. 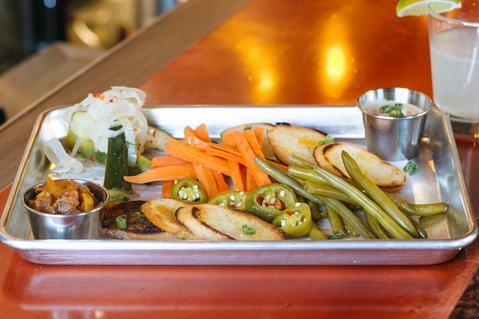 In addition to their expansive drink options, Otis & Pickles Speakeasy has expanded to a full menu with brunch, all served on their distinctive trays. Their food is available for delivery on Caviar, for the homebound types. On May 6th, Otis & Pickles will host a Cocktails and Cupcakes event from 1-10pm. The theme for May’s event is the Rum Diaries, so expect movie showings starring Johny Depp and wide selections of rum infused cocktails. If you have never ventured this far South, make a point to stop by for a drink and check out the interesting concept. Don’t expect anything fancy or pretentious. It’s a dive in the Far South, but one that should make anyone feel welcome. 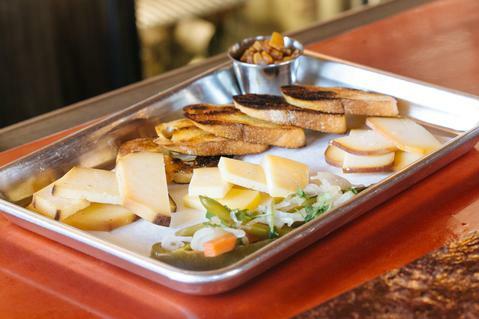 Foodies, rejoice! 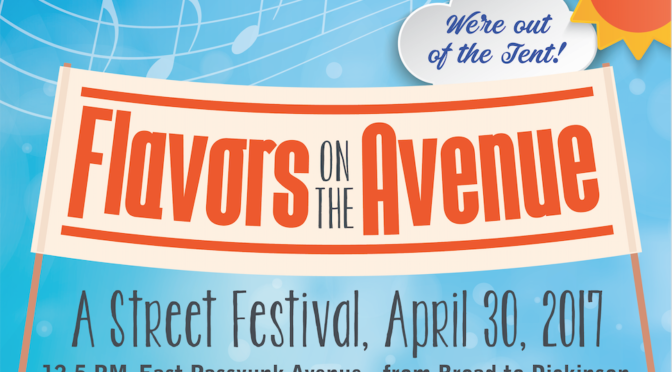 On Sunday, April 30, East Passyunk Avenue is hosting Flavors on the Avenue: A Street Festival. This year, they’re out from under the big tent, and heading to the street for a neighborhood-wide street festival! 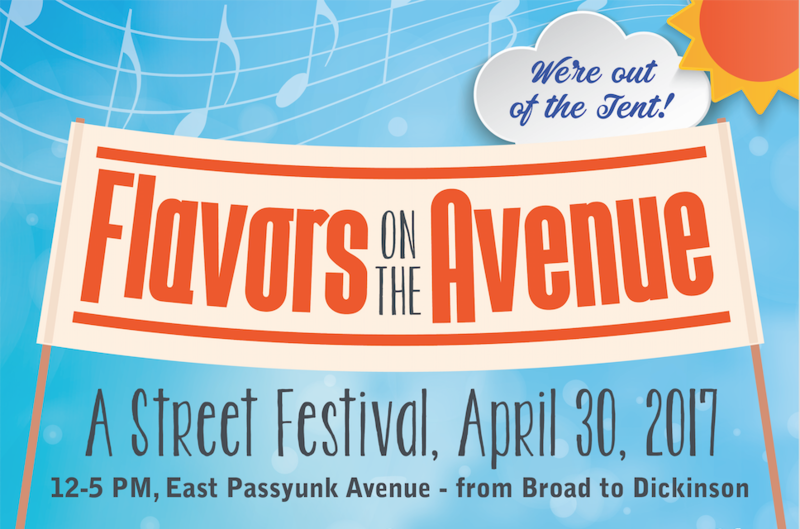 Over two dozen of East Passyunk Avenue’s award-winning chefs and restaurants will be serving up sample-sized portions of their favorite dishes. A coupon book that will allow you to try something from every participating restaurant – that’s more than 24 different dishes! 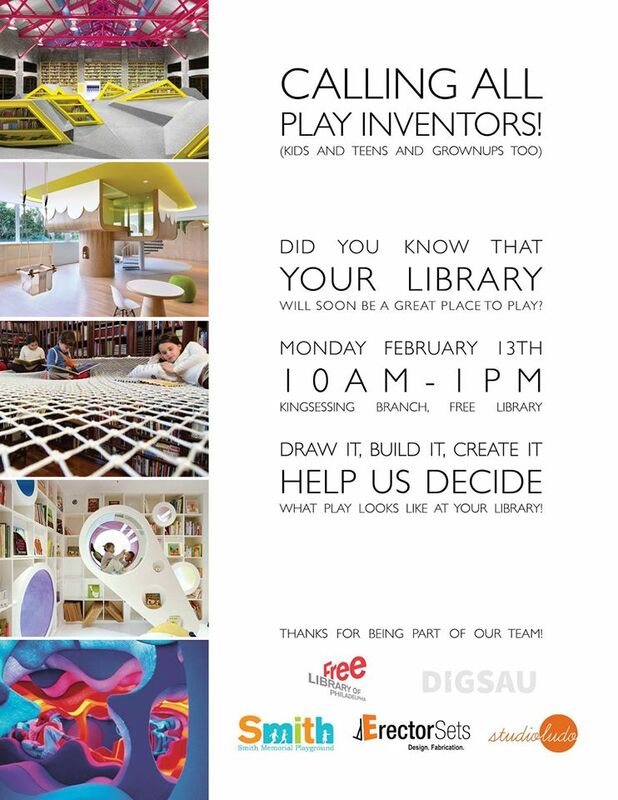 Come draw, build, and create! 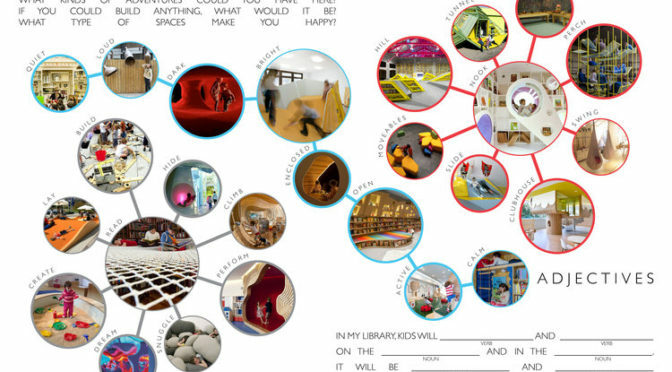 Four branches of the Philadelphia Free Library (Cecil B. Moore, Kingsessing, Whitman and Wyoming) will be getting indoor play spaces this year. 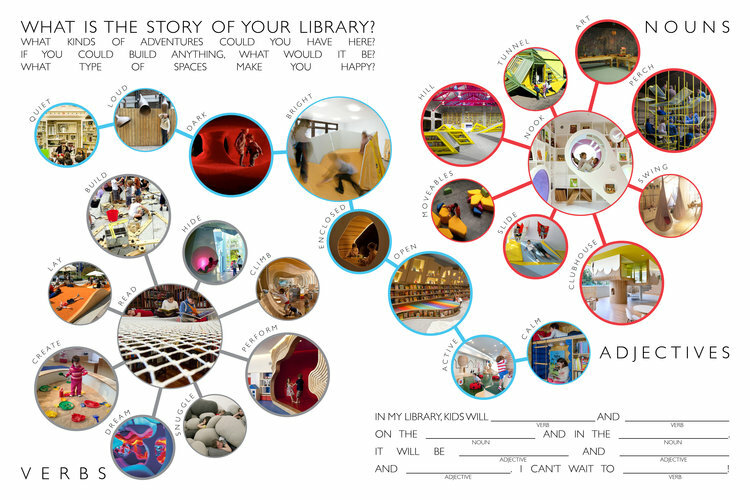 Studio Ludo, in partnership with the Free Library of Philadelphia, Smith Memorial Playground and Playhouse, DIGSAU and Erector Sets, is working closely with community members, to envision what play could be at the library through a series of community workshops. Kingsessing: Monday, 2/13 from 10-2pm. If you cannot attend, please visit any of the 4 branches during the month of February to fill out a caregiver survey and coloring sheet for your kids. Philly Cooks, Philadelphia magazine and Foobooz’s annual food and drink festival returns to Philadelphia on Wednesday, February 8th, 2017 from 6:30pm-9pm at the Sheraton Philadelphia. Early bird specials have sold out, but tickets are still on sale for $99, which will get you all-you-can-eat food from some of the best chefs in the city, all-you-can-drink beer, wine and cocktails from some of the best bars and bartenders, and a chance to spend the night with all of Philly’s most dedicated gastronauts. When is the Convention? When do we expect Convention attendees to arrive and leave? The Democratic National Convention (DNC) begins Monday, July 25th, and ends Thursday evening, July 28th. Attendees will arrive as soon as Friday, July 22nd, and leave by Friday, July 29th. The Convention takes place at the Wells Fargo Center in the evening hours, typically from 5 p.m. to 11 p.m. There will be smaller caucus and council meetings during work hours at the Pennsylvania Convention Center as well. How many people are coming to Philadelphia for the Convention? The City expects approximately 50,000 Convention participants between delegates, media, and other attendees. Are there any changes to trash and recycling service during the DNC? Are there any changes to municipal services, such as; court hours, jury duty, and city employee work schedules? At this time, all city services are expected to operate as scheduled. If that changes, the information will be available on the City’s DNC home page: www.phila.gov/democraticnationalconvention. Will police and fire services be affected in my neighborhood due to re-assignment of first-responders? Philadelphia Police, Philadelphia Fire and EMS services will not be impacted by the DNC. Will highways or streets be closed during the DNC? At this time, we do not anticipate extended road or highway closures in Center City and other areas outside of the Stadium District. There may be rolling closures due to dignitary movements or protests. Before you leave the house, we encourage you to check @PhiladelphiaGov for any traffic news. There will be traffic restrictions around the sports complex, and we expect United States Secret Service to announce those by early July at the absolute latest. When they are announced, you can find the information here: www.phila.gov/democraticnationalconvention. How can the public be aware if large demonstrations are going to affect them? Planned permitted demonstrations that impact traffic or require road closures will be included on the City website road closure page, and updates provided via social media. 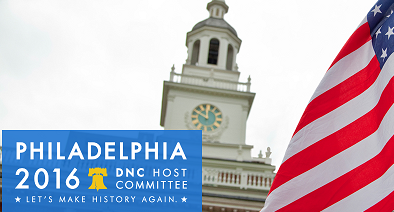 For more information visit: www.phila.gov/democraticnationalconvention and follow @PhiladelphiaGov. Demonstrations that deviate from the planned route or do not attain a permit will be updated via social media. Follow @PhillyPolice and @PhiladelphiaGov. Will any SEPTA routes change during the DNC? Additional service along the Broad Street Line (BSL) will be added during the convention. Travelers should expect crowds on public transit similar to sporting events when Convention programming begins and ends. While the Convention has not yet released their full schedule, historically sessions have begun at 5 p.m. and concluded at 11 p.m. Transit riders can sign up for SEPTA alerts regarding system delays and service disruptions through the City’s mass notification system, ReadyPhiladelphia: www.phila.gov/ready. SEPTA also offers information through their website and social media: http://www.septa.org/realtime/status/system-status.shtml and http://www.septa.org/alert/twitter.html. Will there be special parking or towing restrictions? There will be some parking or towing restrictions, though we do not expect it to be nearly as extensive as last year’s Papal Visit. Before the weekend of July 23, and throughout the week of the DNC, please be sure to check the street signs near where you normally park each day to ensure there are no temporary parking restrictions. Will the City allow camping? Because of the resources needed to manage the Convention, no permits will be issued for camping. Will it be difficult to go out during the Convention? Will restaurants have available seating? Because the Convention historically takes place from 5 p.m. to 11 p.m. each evening, Center City and other area dining destinations should have open tables, especially during dinner hours, should you want to take advantage of them. Can I get into the Wells Fargo Center if I am not a credentialed media member or delegate? Can anyone attend the convention? Only those who are credentialed have access inside the Wells Fargo Center, which include media, delegates, politicians, and volunteers. However, the smaller councils and caucus meetings which take place during the day at the Pennsylvania Convention Center are open to the public. How can I participate in the DNC? There are a number of fun Convention-related events happening around town for the public, even if you’re not interested in politics. For more information and a list of events, go to www.phldnc.com. We encourage you to first go to www.phila.gov/democraticnationalconvention. If your questions aren’t answered there, you can always call 3-1-1 for non-emergencies. 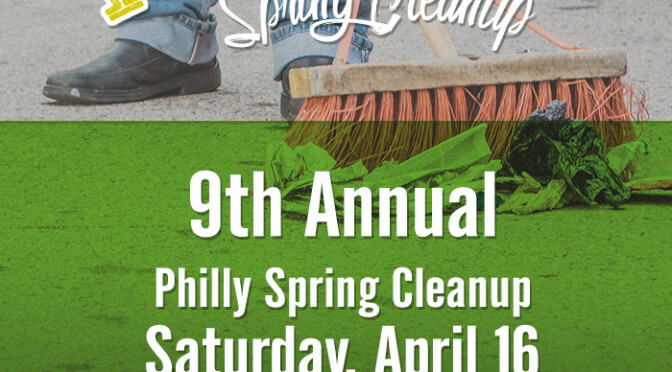 The week of the Convention, 311 will have extended hours from 8 a.m. to 10 p.m.
Philadelphia’s annual Spring cleanup event has been postponed to April 16th due to the snow and cold weather on April 9th. Some residents ignored the postponement and cleaned out their streets last week. Or is that just regular neighborly cleaning?